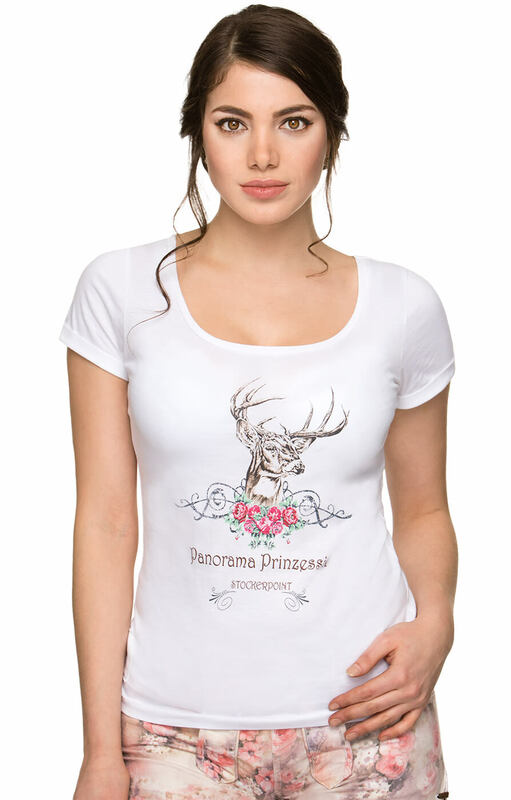 Nica white women’s T-shirt. 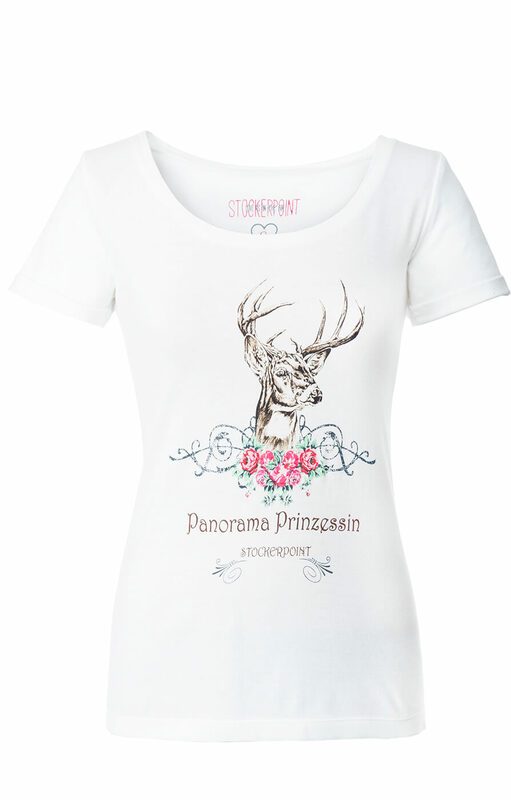 This figure hugging and flattering white T-shirt is made from 100% cotton and boasts an appealing scooped neckline. 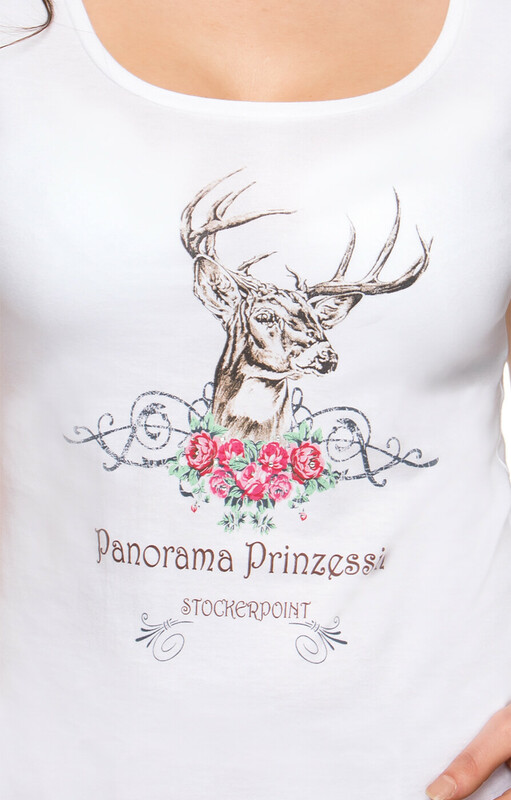 It is emblazoned with a traditional Bavarian deer head print that really captures the attention and is stylish enough to wear to Oktoberfest while also being the perfect item for more casual occasions. Super schönes Shirt. Trägt sich super angenehm. Super schönes Shirt. Trägt sich super angenehm. Tochter ist begeistert.